In order to make the most effective and efficient use of your time in the pool, it’s important that all swimmers practice good form. Learn how you can achieve this with five simple tips to improve your breaststroke technique! If you haven’t yet reserved your spot in December, limited space is still available. And don’t forget to sign up for new sessions starting Saturday, January 5. All sessions are open for registration. 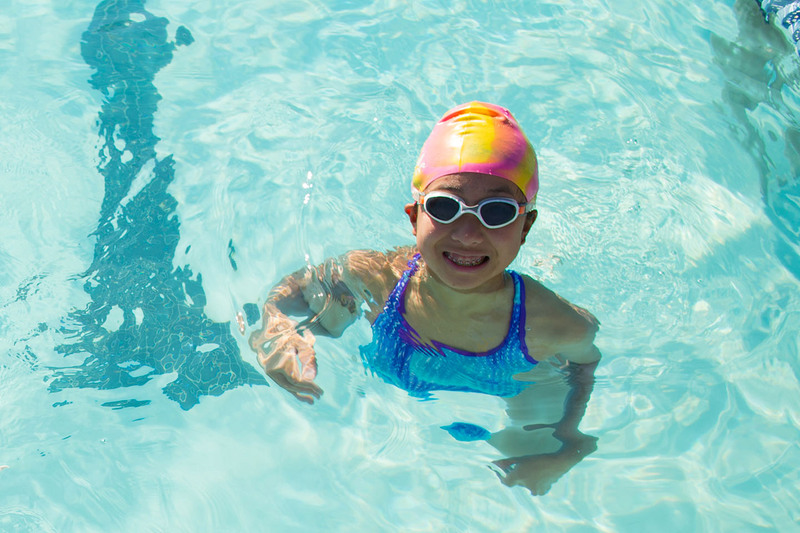 Worried about missing a swim lesson due to travel plans over the holidays? Don’t let that stop you from signing up in December! There are no swim lessons scheduled over winter break (December 22 – January 4) so you can travel without FOMO (Fear Of Missing Out)! Swim lessons will resume on Saturday, January 5. Last month, starting with January group swim lessons, the PJCC unveiled our new registration system, MyPJCC. If you haven’t yet registered for swim lessons using this new process, first-time users will require assistance from our Aquatics staff. Please contact us at 650.378.2782 and we will be happy to guide you through the transition. The Aquatics Office will also be handling all group lesson registrations in our existing and new systems. Please call or visit our Aquatics Office with any questions or for assistance in signing up. No longer will you need to sign up at the office each month! Sign up once and continue as long as needed until your child is ready for the next level. Graduation and transfer from class to class now handled by Aquatics Office staff in coordination with your preferred schedule! Enjoy greater flexibility with schedules! Studies show, and we have always strongly encouraged, that if your goal is faster skill improvements, you will see the greatest results by attending lessons at least twice per week. Once-per-week options offer the greatest flexibility in scheduling. Did you know that Center Members enjoy reduced rates on swim lessons, saving as much as $50 per session? Take advantage of our special monthly membership offer and start saving! Please remember that children must be accompanied to their lesson. Dropping a child off at the front is not an option. Parents of children 7-12 years MUST remain in the facility and parents of children under 7 must stay on the pool deck during the lesson. We do not offer make up classes for missed classes. In some cases, if a physician saw the child, we will honor a doctor’s note and will arrange for a swim lesson credit.